One of the highlights of my day is tuning in to watch Live with Kelly and Ryan in the morning. I'm fortunate enough to have a schedule that allows me to watch it most days and if I miss it, I can usually see the clips on Youtube or their official website. The thing that draws me to the show most is Kelly. She has a great personality and she is funny and energetic. Ryan is good too, but Kelly is the main reason I tune in. I love her stories, her take on current events, her interactions with the fans, and just about everything. When you watch a show like this each day, over the years, you feel like you get to know them. You get to know the staff, the family, the friends and frequent co-hosts. It's a great group of people they have there and they put on a wonderful show each morning. I love playing along with the trivia game they do each day where they give fans a chance to win a trip. I pretty much have Kelly's descriptions of the trips memorized by now, haha. I love the banter back and forth between Kelly and producer Gelman. I love when her husband Mark Consuelos guest hosts and they go back and forth often getting into touchy subjects on air. And when Kelly does her impression of her teenage daughter, it is pretty much one of my favorite things ever! Kelly has been a part of the show for many years from her days with Regis to her time with Michael Strahan. It will be a sad day when she retires from the show. I hope she will stay with it for many more years because she brings so much joy to so many people. Thank you Kelly and all the people at Live who make it such a great show! One of the things I am most passionate about is cleaning up the environment, specifically litter clean up. In this article I will cover how I got started, how my efforts progressed, and what I do now to help clean up the environment. As I kid, I don't recall having any particular interest in the environment or cleaning up. It wasn't until I got older and moved out to my own place that I started taking an interest in the subject. I have always been a pretty clean and organized person so this characteristic may have played a part in how I got started. One day I decided to take a walk on the bike path near my house. As I was walking, my attention was drawn to a significant amount of garbage scattered alongside the path. I thought to myself, “This does not look good.” Seeing the litter along the path gave a bad impression of the environment and ultimately of those around there who made it like that. I was pretty disappointed in these findings considering this was my local path and it is where I lived. So I decided to do something about it. The next day I went back out to the same path, but this time I brought a bag along with and picked up garbage along the way. I was surprised at how much there was! I filled an entire bag in less than half a mile. There was still more to do, but it would have to wait. The next day, I went out again, this time bringing a couple more bags and did the same thing. I covered a good amount of the path and made it look good as new. Little did I know, this was the start of something that would become a big part of my life. I continued to take maintain the path by cleaning it up at least once a week, but this was just the beginning. Next I started to clean up around the neighborhood where I live as well. Every so often I would walk around the local area picking up any garbage that was on the ground. It got to be a habit where every time I would go out or come home, I would look around for stuff to pick up. I started to venture out further and would clean up the nearby streets whenever I saw something that was out of place. Even when going out to stores, I would do the same thing by looking for any garbage in the parking lot to pick up on the way into the store. Often times I would see paper such as advertisements or receipts left in the carts in the store. In the past, like most people I would take a cart next to it that did not have any garbage, but now I actually look for the one that has garbage and take that one so I can clean it up. It just takes a few extra seconds to swing by a trash can and drop off the papers. Sometimes I will notice a lot of garbage in the parking lots, too much to clean up for someone who is just going in to shop. In cases like this, I will leave feedback for the store to let them know about the condition of the lot. Usually the managers appreciate customers taking the time to let them know about things like this so they can improve their store and improve the customer experience. You might think that picking up garbage is dirty and do not want to do it because of this, but there are ways to clean up that are safe and sanitary. One of the things I invested in was a grabber which is a reaching tool that has a handle at one end and a claw at the other. It makes it very easy to pick up garbage on the ground without touching it. Also if you do not have a grabber, a pair of gloves is a good solution to help protect your hands. Even if you do not have a grabber or gloves, most things you find on the ground are not as dirty as you might think. Most things are ok to pick up as long as you are careful and use common sense. Just make sure to wash your hands afterward. After getting a good handle on the clean up situation locally, I started to venture out and got in touch with the community. I volunteered to do clean ups at the local forest preserve. I also participate in the clean up days that are organized by the park district. These can be good opportunities to meet others with similar interests such as cleaning up the environment. Sometimes you may see an area that needs attention but maybe you are not able to clean it up, for example if it is private land. In situations like this, there are still things that can be done. If there is an area of land in your community that needs attention, you can contact your village or city to let them know about it. They will be able to check on it and take the appropriate action to see that it is cleaned up. At times, you might feel like you are the only one who cares, but in fact there are many people out there who feel the same way and want to help clean up the environment. Just by getting out there, not only are you making a positive change, but you are also setting an example for others to follow. Often people will see your efforts and become inspired to get involved as well. In my experience, people are very appreciative when they see you cleaning up. I have received many “Thank you's” when I have been out cleaning up. Some people live in areas that are heavily littered and they think there is just too much and figure they will not be able to make a difference. It might be a little overwhelming at first, but it does not have to be done all at once. Clean up efforts take persistence to make a difference over time. Do a little bit each day or whenever you have a chance. If you stay on top of it and continue to maintain an area, it will become much cleaner than it was. Also once it is clean, it can help deter others from littering as well. When an area has a lot of garbage around, people will think that is just how it is and may think it doesn't matter if they throw something else on the ground because there is already a bunch of other stuff there. On the other hand, when an area is very clean, people will realize this is not the place to throw garbage and will instead look for a proper place to dispose of it. There are online groups where people discuss the topic of litter and clean up where you can get inspiration and share your efforts with others. Even some apps are starting to pop up to help track data about litter in efforts to help promote a cleaner environment. Cleaning up is something just about anyone can do. Every little bit helps so if you have been thinking about getting involved, now is the time! If you have already begun to help clean up the environment, thank you! Your efforts are appreciated! We only have one Earth. Let's make sure we take care of it! Recently I had a door that was squeaking every time it was opened. Squeaky doors tend to bother me so I wanted to fix it as soon as possible. First I tried oiling the hinges and moving parts such as around the door closer at the top. It was still squeaking but I figured maybe the oil had to work its way in a bit to stop the squeak. After a few days it was still squeaking so I went ahead and oiled it some more. Still it continued to make the squeak. So finally I got up close to it and opened and closed the door a few times slowly to really pinpoint exactly where the squeak was happening. Then I noticed it. The noise was not coming from the hinge or the door closer. It was coming from the door itself! The top corner of the door was rubbing against the top of the door frame which was making the noise. I could also tell because there were wear marks on that part of the door frame where the door was rubbing. So I got some oil and applied it to the part where the door was rubbing and sure enough, it fixed the squeak! So if you have a door that is squeaking and you have already tried oiling all the hinges and moving parts, check to see if the door itself is rubbing against any part of the frame. If it is, there is a good chance that is where the squeak is coming from. Hope this helps! Should you sweat the small stuff or only worry about the big picture? One popular phase you may have heard is “Don't sweat the small stuff.”, meaning don't worry about little things that aren't really that important. It can be a good piece of advice, but why is it that we sweat the small stuff in the first place? The answer may be that we live in the small stuff, so that is why we are so focused on it. We are concerned with things that are close to us like ourselves, our home, our family, our neighborhood etc. When little things happen to us in our little bubble it seems like a big deal because we are only thinking about what is in our space. It's hard to keep in mind that there is a lot more going on out there and there are more important issues going on outside of our space. To look at the bigger picture, you can think about how large the country is or how large the world is and then think about how the issue that is bothering you fits into the big picture. Often you may find that it is really not a big deal and may not really matter at all when you consider how small it is compared to everything else going on. One phrase I came up with is “Remember the Universe.” It is a similar concept to “Don't sweat the small stuff.” It means, keep the big picture in mind and realize that the little things that we might think are so important at the time are really not a big deal when you realize how insignificant it is compared to the universe. The universe is huge, almost too big to comprehend. We think our planet is huge but in reality it is merely a spec of dust within the universe. When you remember this scale, you realize that everything that is going on around us in our everyday life is not as big or important as it might seem. So the question is, if we live within the small stuff, should we consider it to be important since that is what we live in? Even though the world is a much bigger place than most of us will ever experience, should we take it into consideration when thinking about what is going on locally? Because we tend to live in a bubble, it is natural to sweat the small stuff because that is the stuff that affects us the most. In comparison to the big picture, these things may not be a big deal, but we don't live in the big picture, we live within the small stuff. On the other hand, when little things around you are getting you down, it is a good idea to take a step back and consider their importance in the big picture. Often this can make you realize that the problem is not as significant as you thought it was. Considering both perspectives, there is value to each. While it is ok to worry about the things that are close to us and affect us most, it is also a good idea to “remember the universe” and keep the big picture in mind. I just recently noticed that notifications to moderate comments have not been coming through so there are some comments from readers over the past few months that were not published. I am currently going through all of them to make sure they get published. Thank you for your patience on these comments. If you drive your vehicle on a regular basis, inevitably it will start to get dirty over time both inside and out. Here is some advice on how to keep your car clean. I recommend an automatic wash for convenience. There are many different kinds of washes and some do better than others. When given the option of different wash options, I recommend the basic. After exiting the wash, I recommend parking and then using a clean rag to wipe down the car and do a little detailing. Even the best exterior washes will not get everything and often they will leave water or soap suds on the car so wiping it down afterward will help with these issues. I recommend starting with the windows, mirrors, and lights, then the main body of the car, then inside the door sills and trunk, and finally the wheels. The wheels tend to attract the most dirt and are most difficult to clean. Also, you may want to open the hood and do a little cleaning around the engine every so often. Make sure the car is turned off first and take extra caution because the engine can be hot. Also be careful about cleaning around hoses and wires so you do not knock anything loose. Remove any leaves or twigs that may have gotten into the engine area or the vents. If it has been a while since you did a good cleaning, it can seem like a lot of work, but the more often you do a wash, the easier it will get. I recommend trying to wash it about once a week or so. I try to keep an eye on the weather forecast and wash it when there are going to be several clear days ahead. First remove anything that you don't need, especially if there is any garbage. Once everything is out of the way, you can do a vacuum of the floors, seats, and trunk. Take the floor mats out to clean under them as well. I also recommend taking a dusting cloth or a damp cloth to wipe down the dashboard as well as the seats and any flat surfaces within the interior. Also wipe down parts such as the steering wheel and shifter which tend to get dirty from normal use over time. The inside of the windows can also develop a film or cloudiness over time. Use a glass cleaner and a clean cloth or paper towel to wipe down the insides of the windows. Once the inside is clean you can put your things back in if there is anything that needs to be stored in the car. Ideally, there should not be too many items visible in the car. Make use of storage areas such as the glove compartment, arm rest, or under the seats if you need to keep anything in the car. Over time, keep the car organized. If you bring something into the car, make sure to take it out when you are done or when you back home. For the trunk, a box or container can help to keep everything organized and secure so there is open space for other things when needed. Avoid eating in the car. It can be tempting, but try to avoid eating in the car as it can lead to spills and crumbs that can be hard to clean up. If you have a garage, keeping the car in the garage can help keep it clean especially in harsh weather such as snow and rain. Make sure your shoes are clean before you get in. If they are dirty or snowy, try to shake them off as much as possible before getting in. Make sure you have good floor mats to help protect the inside floor and be sure to vacuum the mats on a regular basis. The use of a seat cover can help protect the seat from wear and dirt. It does not have to be anything fancy, for example a t-shirt can be used as a seat cover to help protect the material. Following these tips can help keep your car clean all year round. It can also make driving more enjoyable and help keep up the value of your vehicle! It is amazing how much sunlight and weather can affect how we feel. For example when the weather is nice and sunny, people tend to be in a good mood and tend to be more happy. On the other hand, if it is dark and cloudy or it is cold and windy, it can make you feel more down or less happy. It's interesting that something as simple as this can make such a big difference on how we feel. If you think about the sunlight for example, the only difference between a nice sunny day and a dark cloudy day is the clouds in between the Sun and the Earth. Everything else is the same but this change in the amount of light we are getting from the Sun is causing the change in mood. Things like wind and rain can affect how we feel as well. When the weather is calm and there is no wind, it is easy to relax and feel at ease. On the other hand, when there are 30 mph winds and you can hear the wind outside, or there is a thunderstorm with heavy rain, it can make you feel more stressed out just because things are not calm outside. Temperature can also play a part in how we feel. If it is very hot you may feel more tired, while if it is very cold, you may feel more alert. With all this effect on mood being influenced by the weather, where you live can make a big difference on how you feel based on the type of weather that is common in your city. This is definitely something to consider when deciding if you would like to move to another city or location. You can think about how these different kinds of weather affect you and then research the average weather and climate of different location to find the ideal place to live. Of course there are many other factors to consider, but weather can be one of the most important when it comes to happiness and well-being. Have you ever thought there was a certain food you did not like and then found out later that it is actually pretty good? Or have you ever tried a new brand of a familiar food that you like only to find out that the new brand is not very good? Since there is a wide range of quality and taste in many foods, it is very possible that the first time you try a certain food it may not be as good as it can be. If you try something for the first time and you don't like it, it gives a bad first impression and it is easy to declare it as a food you do not like. But what happens if it was just a poor representation of that food and that actually it does taste good when it is more fresh or prepared in a better way? I have experienced this and also heard stories about the same issue of foods giving a bad first impression because they did not give a good representation of the potential that food had to offer. For example, growing up as a kid, my mom would buy raisins in little boxes. Not to mention any brand names, but they were a well known brand so one would assume they should be pretty good. While they were ok, I never really liked them that much. I always found them to be pretty dry and just not very appealing in flavor. Then later as an adult, I happened to try out a different brand of raisins and to my surprise, they were incredibly fresh and delicious! I didn't know raisins could taste like that. I thought they were always dry and not very good, but these were almost like eating fresh fruit. So because I had the first impressions from the dry raisins, I just assumed that is how raisins are and they are not very good, when in fact, they can be quite delicious when they are fresh and better quality. Sometimes you may have a certain product you enjoy from a certain brand and then you try another brand of the same product and it is not nearly as good. This happened to me recently. I drink soy milk pretty often and I have a few brands that I like. Then one day they were out of my usual brand so I had to try another one I had not tried before. I looked at the ingredients and nutrition and it looked pretty similar so I figured it would be ok. Upon trying it out, it was not good at all. I thought about what would happen if someone tried soy milk for the first time and they picked this brand. There is a good chance they would not like the taste and since it was their first time trying soy milk, they would just assume that is how it tastes and come to the conclusion that it is something they do not like. In this situation, one brand could be ruining someone's impression of a product because it is not as good as it should be. A comedian named Todd Barry once made a joke about this same issue. He mentioned how he doesn't like sushi. He said he gave it one chance at the air port one time and it wasn't good, so now he has written it off as a food he does not like. Of course he says this in a joking way since it is likely the sushi at the airport is not as good as what you would get at a sushi restaurant, but the idea is the same in that a poor first impression can make you think you don't like something that you actually might enjoy if it is done right. Keep this idea in mind when trying new foods for the first time. When it comes to fashion, I find most people can be categorized into 2 different groups, those who follow the trends and those who set the trends. You might think this is false and feel like you do not fall into one of these 2 categories, but chances are you do, even without knowing it. Someone who follows the trends tries to be in style by wearing what is trendy at the time. They may look to see what the majority of other people are wearing and try to buy clothes that will help them fit in. They may look at advertisements, websites, or displays in stores for ideas on what they should wear. They might feel like they are one step behind, always trying to keep up with whatever look is “in” that year. Those who set the trends can fall into 2 categories and neither may be intending to set the trends at all. For example, a celebrity may wear some kind of outfit and because they have a lot of admirers, people will try to emulate their look or try to find the same kind of clothes to wear so they can be like their idol. In this case, the celebrity is not intentionally trying to set trends, but they do so inadvertently just because there are a lot of people watching them who are influenced by what they do. The other category of someone who sets trends without knowing it is the kind of person who just wears whatever they want even if it is out of the ordinary. They may have some odd clothing or style that is unconventional. Maybe they are just trying to be comfortable and not necessarily follow what most people are wearing at the time. Maybe they just have a desire to wear clothes that are different from most of the things you may find in a store. These people may not be trying to set trends but when they go out in public, other people see what they are wearing and become intrigued. It is possible some people may be turned off by their look, but some people may find it interesting and different enough that it gives them inspiration to wear something similar. So in a case like this, someone who is doing their own thing, not following any trends is in fact influencing trends unintentionally. Looking at all the examples, it is likely that those who are following the trends also play a part in setting trends as well just by being out in public wearing what they think is in style at the moment. Since they are seen by others, they play a part in the influence on what is considered popular or in trend at the time. From the examples above, it seems most people fall into one of the 2 categories of following trends or setting trends whether they realize it or not. Why older generations don't like younger generation's music? The effects of technology on music and what determines good music? Every decade can be defined by the kind of music that was popular at the time. Depending on when you were born determines which kind of music you will be most exposed to and which will have a strong influence on your musical taste. Of course people are free to listen to whatever music they want including older music, but new music is what gets the most play and is what people, especially young people, will hear the majority of the time. I think most people are at their most influential stage around the teenage years through young adult. In the teenage years and even in some years before this time, kids are starting to take an interest in music and are starting to hear new songs and develop a taste for what they like in music. Often they will like the popular music of the time as well as new music from other genres. What kids listen to during these years will stay with them and as adults they will look back on this time and remember the music they used to listen to. They will have the feeling of nostalgia remembering the songs they loved growing up. As people get older and their lives start to become more busy, they tend to not listen to as much music as they used to or at least not follow it as closely as they did when they were a kid. Often times people kind of lose touch with the new music of the time because they are either too busy or have just lost interest. Years can go by where people don't pay any attention to the music that is new and popular. Adults may make an attempt to get back into it by listening to some of the new songs that are popular only to find out they don't like them. The new songs are unfamiliar and different from what they are used to. They might seek out some of the old bands and artists they used to listen to only to find out they have stopped making music or their new stuff is not as good as their old stuff. After realizing this, they may go back and just listen to the music they grew up with. In my experience, I was really into music growing up, but as I got older I started to lose interest. I felt like I had listened to a lifetime's worth of music and there wasn't much left to listen to. Every once in a while, I might happen to hear a new song that catches my interest, but for the most part, I don't hear too much I like in popular music these days. Is the music worse, or is it just a change in the generations of music as described above? It could be a little of both. I think back to the music I listened to as a kid and realized that the adults at that time probably didn't like what we were listening to. We thought it was good at the time and still do, but that is because it was our generation's music. So it may be the same situation when adults hear the music the kids are listening to these days and think it is not good. To the kids, it is good because it is their music and that is what they are growing up with. When they get older, they will look back at the music they used to listen to in the same way with fond memories. It is possible that the change in technology has had an effect on the music that gets noticed. For example, back in the day before the internet and smart phones, people got their music from the radio or music channels on tv. A band or artist had to get enough attention to get a record deal, record an album, and get enough promotion and approval to get on the radio. These things provided a filter so only the best made it to the airwaves. These days, anyone with a computer can record their own music and put it online instantly. Because of this change, there is a lot more music available, but at the same time, the quality has been spread thin so it makes it more difficult to find the good music in a sea of mediocrity. With visual media such as Youtube and Instagram, it seems image has become even more important in making it in the music business even more so compared to what it used to be. With these changes, it is possible some music that is not that good is becoming popular due to factors such as image and popularity in other media. Nevertheless, every generation will have a collection of songs they consider to be their music because it is what they grew up with. Some of it might be good, some of it might not be so good. Even the bad songs will still have a place in the memory for those who grew up with them. New songs come and go fast these days. It takes decades of time to truly determine the good music. Why is this, you may ask? It is because it takes many years to see which songs stand the test of time. A lot of songs will be popular this year, but 20-30 years from now, most of them will be forgotten. There will however be some that continue to be listened to and will achieve classic status. These songs will join the other songs that are considered classic and timeless and generally accepted as great songs. You may notice when you are in a store whether it be a grocery store, clothing store, or just about any other kind of store, often times they will have background music. Usually it is some predetermined playlist or station that the store partners with to provide background music with the goal of creating a better experience for the customer. But does music always equal a better store experience? In my opinion, sometimes it can help while other times it can actually make the experience worse. A lot of it depends on what kind of music is playing, how loud it is, and what kind of mood the customer is in. I will explain how these factors play into how the music is perceived by the customer. Music is very subjective. Take any song and you can find someone who loves it while another person may hate it. Some people like loud intense music while others like quiet peaceful music. Because of this, it becomes a challenge to pick music and songs that will appeal to most of the people in the store. The problem is, you can't please all the people all the time. Even when songs are specifically chosen to be generally likable by most, there are still going to be people who don't like the music that is picked and this may in turn cause a less than desirable experience for these customers. Also frequency of the songs played has an effect on the experience as well, particularity for the people who work in the stores. Since many of the retail stores have a set list of songs on repeat, these songs quickly get old for those who are in the store a lot (employees and frequent customers). What started as a song you liked or didn't mind soon becomes a song you do not like or in fact despise because you have heard it so many times. The volume of the music also can play a big part on the experience as a customer. I generally prefer the music to be very soft so it does not draw attention or become invasive. There have been times where I have been in a store and the music is loud enough to become an annoyance and even a distraction. It becomes worse when a song you don't like pops into the rotation and you can't get away from it. When this happens, it can put customers in a bad mood and make them want to leave the store sooner than they had planned. 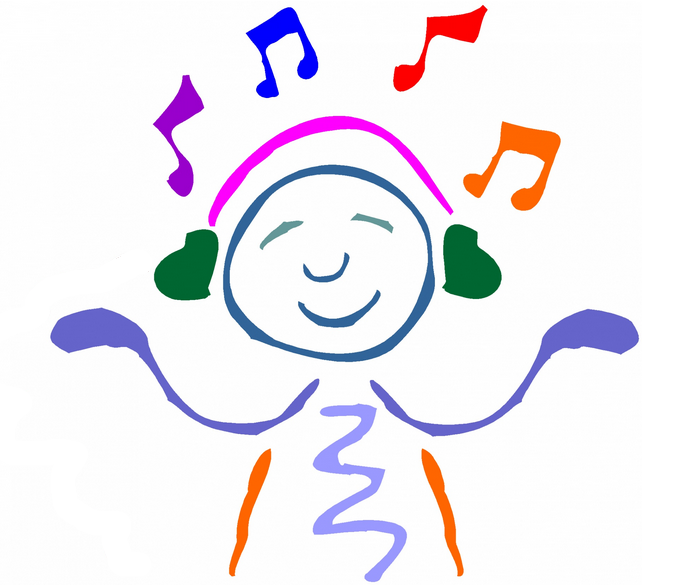 The mood of the customer can also affect how they perceive the music in the store. For a customer who is relaxed and has plenty of time to shop at a leisurely pace, they may be more accepting of the music. They are at ease so a little extra stimulus in the way of music is welcome. 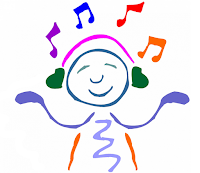 On the other hand, someone who is feeling stressed out or trying to concentrate on their shopping may become irritated by the music especially if it is loud or happens to be a kind of music they do not like. What are your thoughts on this issue? Should stores have music in the background or is is better without music? Feel free to post your thoughts in the comments below.